Just a few hours from now, D10, the 10th anniversary of our D: All Things Digital conference, kicks off in Rancho Palos Verdes, Calif., beginning three days of unscripted, no-holds-barred conversation with tech’s luminaries. The event has been sold out for months, but there are plenty of ways for you to attend from afar. The first: AllThingsD, which will be covering D10 in depth, with liveblogs, breaking news, videos and photos of events on stage and off. 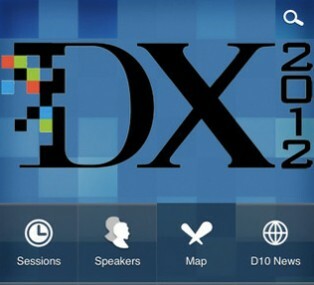 The second: Our new D10 conference app, a digital companion to the conference, offering news, video and alerts from the D team. And the third: Free video livestreams of four sessions: KPCB partner Mary Meeker, screenwriter Aaron Sorkin, Oracle CEO Larry Ellison and FTC Chairman Jon Leibowitz. Sure, D10 is sold out, but there’s no reason you have to miss it. Join us here at AllThingsD this evening for the first session: A conversation with Apple CEO Tim Cook.